Smyth-Crowther Garden - Roger & Allison purchased this Georgian era house (1826) seven years ago and the gardens have been expanding ever since, fast becoming a highlight along Granville Road. 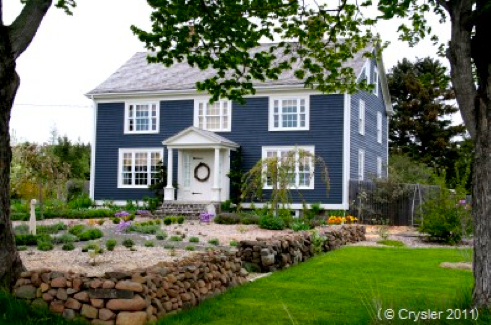 The much anticipated annual Annapolis Royal House & Garden Tour is organized by and in support of the Historic Gardens, building on Annapolis Royal’s notable accomplishments as a Communities in Bloom winner at the Provincial, National and International levels, and as the “World’s Most Liveable Small Community”. With 6 private properties and Annapolis Royal’s own Historic Gardens at the height of rose season, it promises to be a very special day indeed. 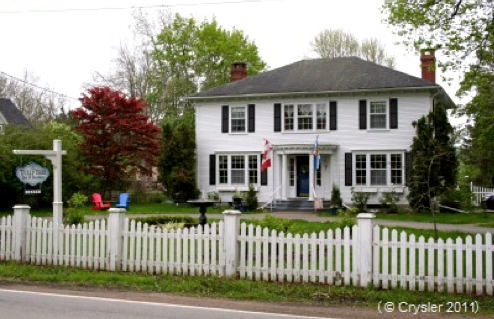 The feature properties on this year’s Tour include three heritage homes in Annapolis Royal, where you can tour the lovely gardens and the houses as well, and three gardens in nearby Granville Ferry and Karsdale. 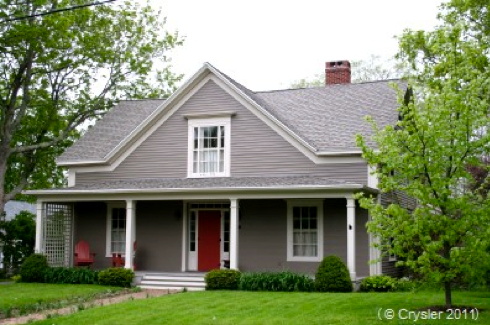 Participants will get a great mix of garden styles as well as a wonderful look inside three of Annapolis Royal’s notable Heritage Properties. Here is a glimpse of the remainder of the properties. The photos are teasers, taken more than a month ago. You are in for a treat indeed as each of these properties are looking amazing in their early summer glory! The King George Inn - House & Garden Built in 1868, this was originally a sea captain's grand Victorian mansion. The Tulip Tree B&B - House & Garden Circa 1912, this was converted into a B&B about ten years ago. The gardens are lovely and there are some other heritage gems on the property, such as Peggy's Playhouse. 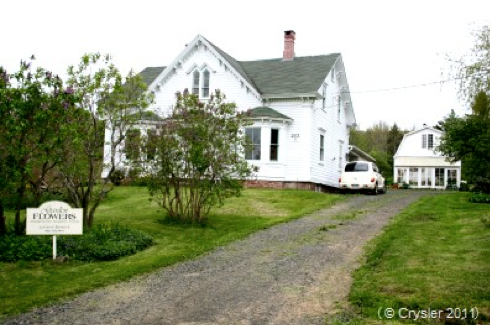 Milligan-Eyre Property - House & Garden A beautful heritage home (circa 1850) with equally beautiful gardens! 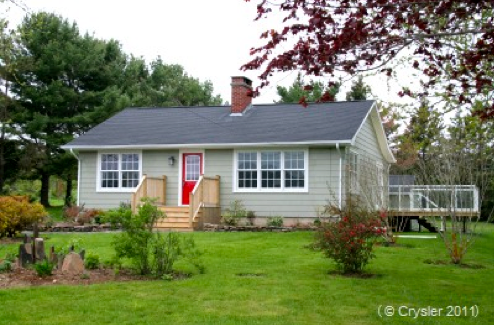 Brandi Cameron Garden - With a spectacular view of the Annapolis River, Brandi purchased this house in 2010 and has made the garden a priority...and it shows! Beswick-Longtin Garden - These incredible gardens have evolved over the past 20 years. Lorraine Beswick is known locally and beyond for her incredible flower arrangements and her willingness to share her vast gardening knowledge. 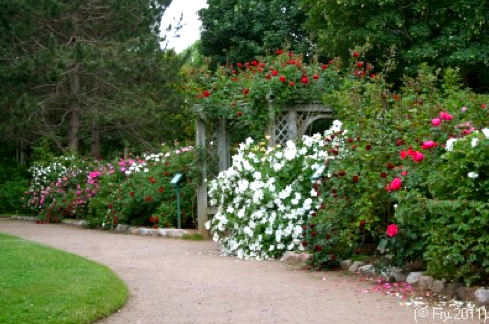 The Historic Gardens - "Stop and Smell the Roses", and enjoy 2,000 cultivars during the peak Rose Season. Your ticket also includes a visit to the Historic Gardens in peak rose season and a special tour with Horticulturist Karen Achenbach at 4pm. Also included are refreshments at the Historic Gardens from 1-5pm. To add even more value, your Tour Ticket entitles you to a discount on lunch at the Garden Cafe, and a discount on admission to Fort Anne and Port Royal National Historic Sites! So plan to spend the day, or preferably the whole weekend, in Annapolis Royal! House & Garden Tour tickets may be purchased at the Historic Gardens, by phone at 532-7018, or online at www.historicgardens.com. Tickets are $25 per person, all inclusive. If you are a 2011 member (aka season passholder), you can purchase your ticket for only $20. A grand day indeed, and supporting a great cause! 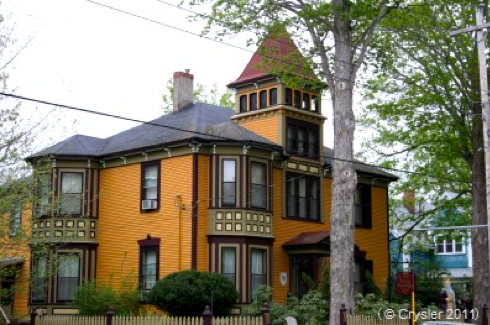 This entry was posted in Accommodations, Explore Annapolis Royal, Gardens, Heritage, Tours and tagged Annapolis Royal Nova Scotia, Explore Annapolis Royal, Historic Gardens, House and Gardens Tour. Bookmark the permalink.